The road into Ningaloo Station—50,000 hectares of land bordering Ningaloo Reef—is described by one Wiki-camps review as “the worst road in Australia”. I reckon that’s not far off the truth. Last Thursday we left Carnarvon, where I’d stocked up on as many groceries as our 60 litre fridge and trailer drawer would hold, and drove two and a half hours (on a lovely smooth sealed road) to the turnoff for Ningaloo Station. The road, if you can call it that, doesn’t feel as if it’s ever been graded. It’s filled with potholes in the best spots and cavernous voids in the worst. We drove past shrubs and grasses and occasional herds of goats or sheep that looked feral, but I wasn’t sure—this was a station, after all. It took us well over an hour to go 30 kilometres. We passed some defunct trailers that never made it out—not surprising—and finally reached the homestead, a house with a goat on the front porch and an ancient caravan next to it. A sign on the fence read, Private. Another read, Visitors: Toot horn and wait. We did. A few minutes later a tall thin woman with long grey hair emerged from the house. She looked as if she’d stepped out of an Alice Munro story. She didn’t say anything and so I introduced myself. “Have you had any rain here?” I asked. “They had rain in Carnarvon last night,” I said. The woman from the Alice Munro story looked wistful and said, “We could use some rain to wash down the dust.” She motioned to the caravan that had another sign, office. We went inside. There was an exchange of $75 for five nights’ accommodation plus a hundred dollar bond for the key to the gate a further 16 kilometres down the road. “Do you have a toilet?” she asked. “Yes,” Lee and I said in unison. There are no facilities at the campsites at Ningaloo—no water, no pit toilet, nothing. The woman gave us a map and drew on it—neatly, precisely—where our campsite was and which tracks to take. As she drew I studied her face, lined by this relentless western sun, and saw that it had once been beautiful. Not now—now, it just looked tired. She wasn’t one for conversation—how could you be, living so far from other human beings? At last we arrived at a sign that said, Reduce tyre pressure. Towing fees apply in/out. Lee let down the pressure in the tyres—way down; we’re learning—and drove through soft sand. Finally we arrived at an old tyre with a “1” on it. Next to this, where our sight was supposed to be, was a sand dune. We got out. The wind was fierce. I felt nauseas and headachy. It had taken us two hours to go 46 kilometres and we’d arrived at a campsite that no longer existed. “Maybe we won’t stay five nights,” Lee said. “Let’s wait and see,” I said. We’ve been in the same situation before, arriving at a place and feeling disappointed, before getting to know the beauty of what lay just beyond the dunes. Luckily, there was plenty of space to set up, right on the track, overlooking the blue blue sea. We didn’t unhook the trailer because we’d never get it on again in this soft sand. WA sand must have some of the softest sand in the world. The wind blew and blew and even with the beautiful sea just steps from our camper trailer, five days felt like a long time. I gave the girls a snack, set R up with a bucket and spade, and went for a swim. There was no one else on the beach. As I approached the water, I saw a snorkel, or what I thought was a snorkel, just two metres off the beach. Then it disappeared. It didn’t come back—what was it? Suddenly, a dolphin jumped out of the water. It was so close I could almost reach out and touch it. I shouted for Lee and R (K was still reading in the car). They came out and the dolphin jumped again and again. It seemed to be saying to us—this beautiful creature—that although the road we came down was rough as guts, and the basic life we’re living is sometimes exhausting, it’s worth it. I got in the water—so warm up here, just north of the Tropic of Capricorn—and tried to swim to the dolphin. I didn’t have a chance in hell. These mammals can swim up to forty kilometres an hour. In the days that followed, we got into a rhythm of snorkelling in the reef that lies just off the coast, playing in the shade, reading in the shade, socialising with the others camped on the beach, many of them for three months. When the girls ran out of paper, they collected dried cuttlefish and the jawbone of a goat and painted them with watercolours. Time seemed to stand still there in the sun on Ningaloo. The winds died down and we swam with tropical fish—angel fish, unicorn fish, clown fish, tiny electric blue fish. We let the current take us over the coral reef and studied what was beneath: sea cucumbers, bright blue starfish, dark rays. We climbed the dunes to spot sea turtles swimming in the waves with their cumbersome grace. I cooked nearly all the food we had and brushed the sand off our plates before we ate from them. When a couple of boys caught a huge maloo from their boat, they shared it out among the campers and we all ate fresh fish that night. Each evening we had sunset drinks as we watched the sun sink into the sea. After five nights, we said goodbye and drove back down that dreadful road to return the key. The same woman—tall, waiflike, sturdy—came out to give us back our deposit. She moved slowly, deliberately in the heat. “How long have you been here?” I asked. She looked at me. “All my life,” she said, as if it were obvious. As if there were nowhere else on earth to live. Lovely post Sarah. 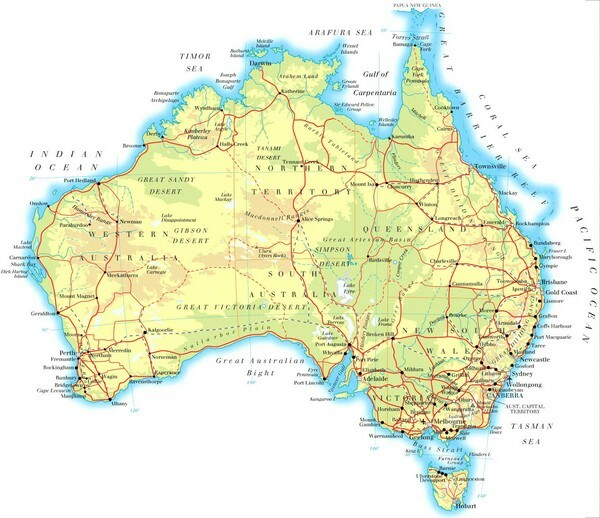 This is just a taste of how the rest of Australia (once you leave the populated parts, especially the east) is like entering another country! I have been through this part of WA several times now and I don’t think I’ve even scratched the surface of what life must be like actually living there… this was such a wonderful representation. Looking forward to reading about your adventures as you delve deeper into the north.